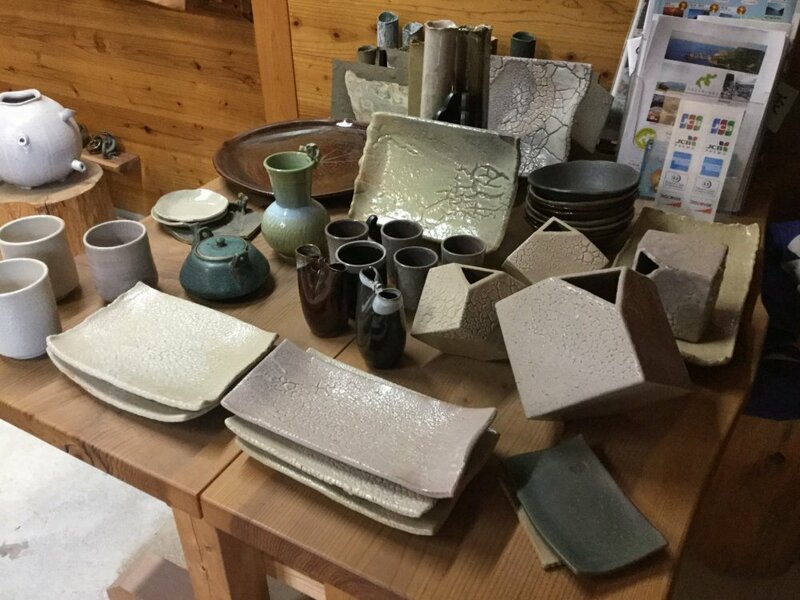 Pottery, plates and other items that you can learn to make or buy ready made. The brightly lit and well ventilated workshop. 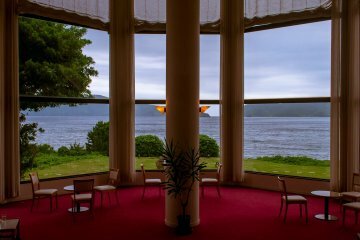 Big windows allow you to look out and be inspired by nature while you work. Staff explaining the tie-dyeing process. 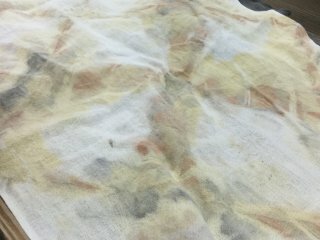 A finished piece of fabric dyed naturally. 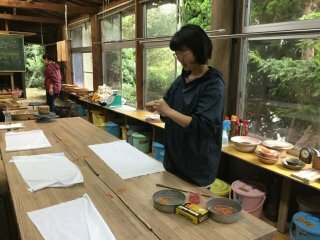 Local artist Kato-san explains the history of natural dyeing. 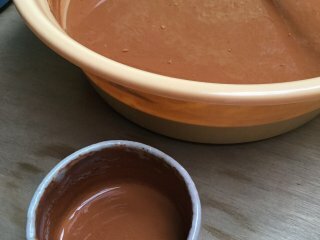 Red clay dye made from the soil from Mt. Takuhi right behind the workshop. Not many people travel to the Oki Islands, but if you happen to find yourself in this beautifully rustic and remote place, you will want to bring home a unique and memorable souvenir made from locally sourced materials. 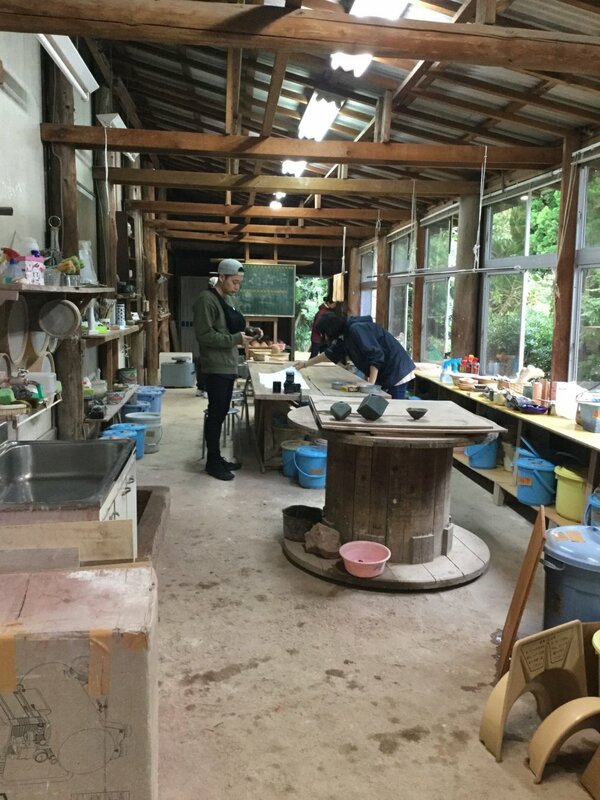 At Takuhi-gama kiln and studio (焼火窯), located at the base of the mystical Mt. 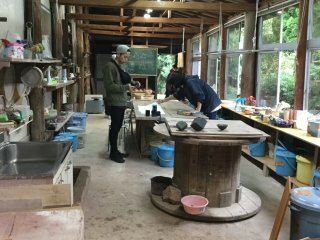 Takuhi in Nishinoshima, you can dye your own scarf with natural dyes, or craft your own mug, bowl, or plate in a 2-hour workshop. All materials used for pottery and fabric dyeing (i.e. clay, glaze, dye) are sourced from Mt. Takuhi and the Oki Islands. 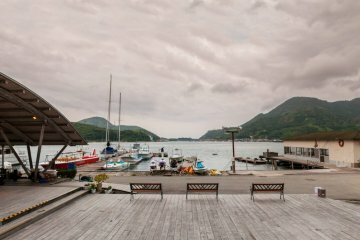 If you participate in the fabric dyeing workshop, you will finish off at the beach, washing your dyed cloth in sea water to set the colors. 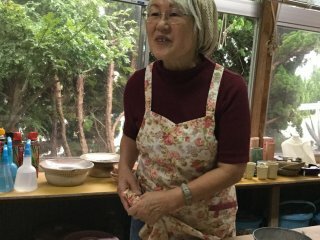 Takuhi-gama is a wonderful place to learn the meaning of wabi sabi, a Japanese term used to express acceptance of transcience and imperfection. Each piece created is different. Each piece imperfectly perfect. 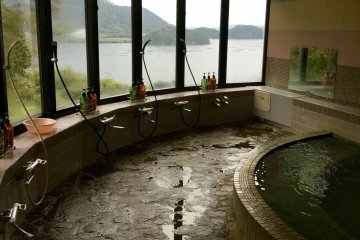 From Beppu Port on Nishinoshima Island, take a taxi or a rental car. For Sherilyn Siy, Asia is home. Born in Hong Kong, Sherilyn spent time in the Philippines, China, and now lives in Japan. She speaks English, Filipino, Chinese (or putonghua), and Hokkien, her family's local dialect. 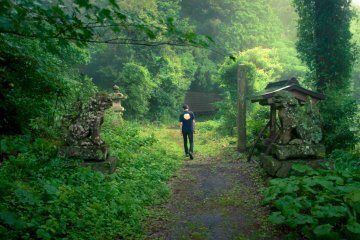 Running is one of her favorite ways to explore Japan. She proudly finished the 2015 Tokyo Marathon -- her first ever full marathon -- in 4 hours and 37 minutes. She was absolutely psyched when she got selected again to run the new Tokyo Marathon route in 2018. She hopes to complete other races in Japan. "...washing your dyed cloth in sea water to set the colors." That line stuck with me. Thanks. I love how open and bright the workshop is - the natural element sure does get the creative juices flowing! Wow, what an amazing chance to connect with water and fire. I’d love to try this!